Anyway, enough whinging. Here is my pipe dream wardrobe. I tried being realistic but one garment didn't seem like much of a challenge. I also tried to just plan from my stash but there are so many gorgeous fabrics and patterns! 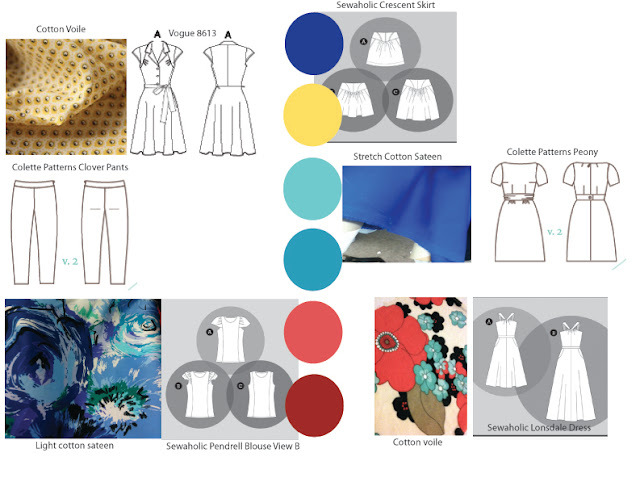 The yellow cotton voile and the shirtdress pattern just are too yummy to resist. Hubby said if I drove into the city to meet him for lunch one day he would help me get to Tessuti to buy the yellow voile! The Colette pants will probably be in black sateen. I want to make a pair for Autumn in a stretch herringbone suiting fabric too. I don't have the pattern or fabric. I have a cotton fabric in the red and gold with black and hot pink mixed in for the crescent skirt. My mum bought me a fuschia cardigan so they might pair nicely. The crescent skirt is good because you can wear it with leggings or on it's own. I have gotten heaps of wear out of my red denim crescent skirt, which I did finish by the way. 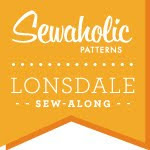 I have the fabric and pattern in my stash. 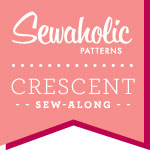 I also have the fabric for the pendrell and the pendrell pattern, and the cobalt sateen in my stash. 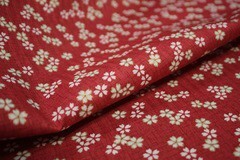 1) I have a really pretty voile in red with a golden yellow polka dot. I want to make a wrap dress and I saw the ideal pattern and I *thought* I pinned it onto my pinterest board but it isn't there, waaaa! 2) I bought the Craftsy course for Gertie's retro bombshell dress. That was a bit ambitious! I have the pattern but not the fabric. But in an ideal world I would buy the fabric below from Tessuti and make the dress for christmas. 3) I also really want to make some shorts for summer. 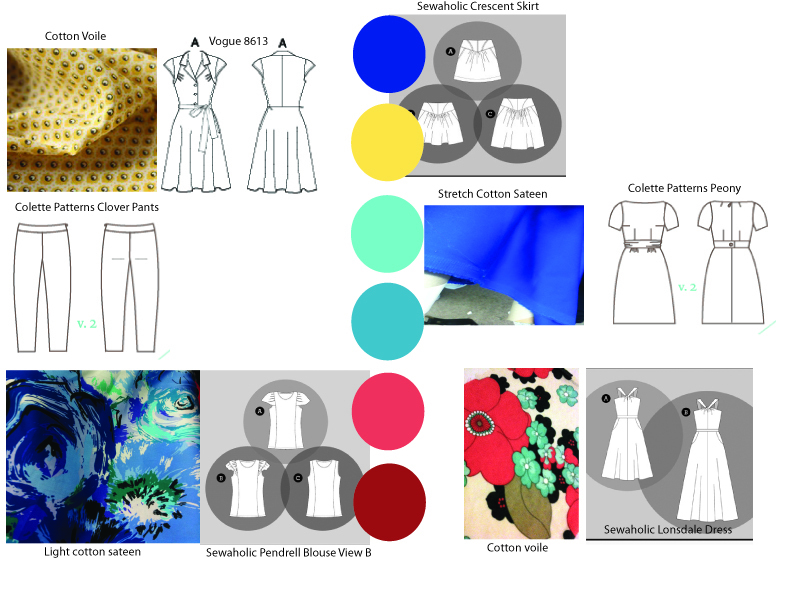 4) + 5) +6) I want to make a tulip skirt, an A-line skirt and a pencil skirt. 'If wishes were horses then beggars would ride.' My mum used to quote that to me all the time. Thanks mum.